Learn how to innovate with our Innovation Step-by-Step Online Courses that guide you beyond the book through: The 7 Simple Steps to Create and Develop Ideas for your Challenge. This online video tutorial workshop program will walk you step-by-step through the innovation system. See real examples at each stage. Follow along and work on your own innovation project. Develop new products, services, solutions, strategies, marketing, communication, entrepreneurial endeavors, or organizational projects. Think through and work on any challenge you have. 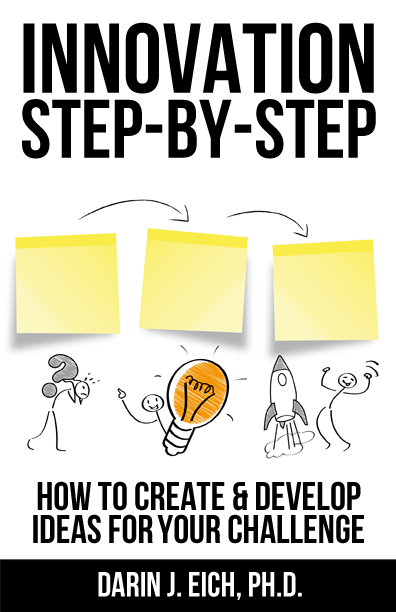 Using Innovation Step-by-Step for your group? Email darin@innovationsteps.com for group, class, program or training ideas…or to access a larger quantity of books and materials. Want to be an innovative entrepreneur? We've built an online program for you! This guided video tutorial program teaches you how to generate quality, validated ideas faster than ever. Develop innovation. This new online workshop program designed to take your results to the next level: Innovation Step-by-Step for Entrepreneurs. Email author Darin@InnovationLearning.org about your project that may need an innovation facilitator, program, or workshop. 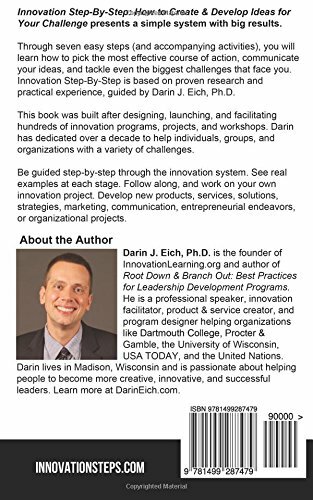 Your innovation facilitator, Darin Eich, is the author of Innovation Step-by-Step and Root Down & Branch Out: Best Practices for Leadership Development Programs. 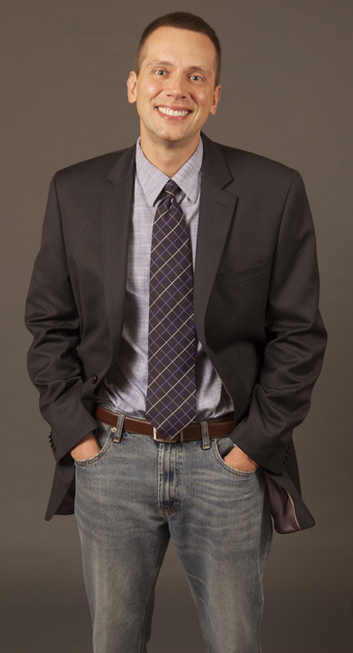 Darin earned his Ph.D. in Educational Leadership & Policy Analysis from the University of Wisconsin. Darin is the president and co-founder of InnovationLearning.org and BrainReactions, an innovation consulting company founded by UW students, where he led idea development and innovation projects for organizations like P&G, the United Nations, and the U.S. Council on Competitiveness. Darin’s passion involves helping people to become themselves, find and live their strengths, and become more creative, innovative and successful leaders. Professionally, Darin does projects ranging from hundreds of speeches to helping institutions develop leadership programs & retreats to facilitating professional brainstorm innovation sessions for the most innovative Fortune 500 companies. Darin lives in Madison and is a consultant to Dartmouth College, the University of Wisconsin, and USA TODAY. Do you want to facilitate your people through an innovation system, project, or activities...and learn and develop leadership skills as a result? 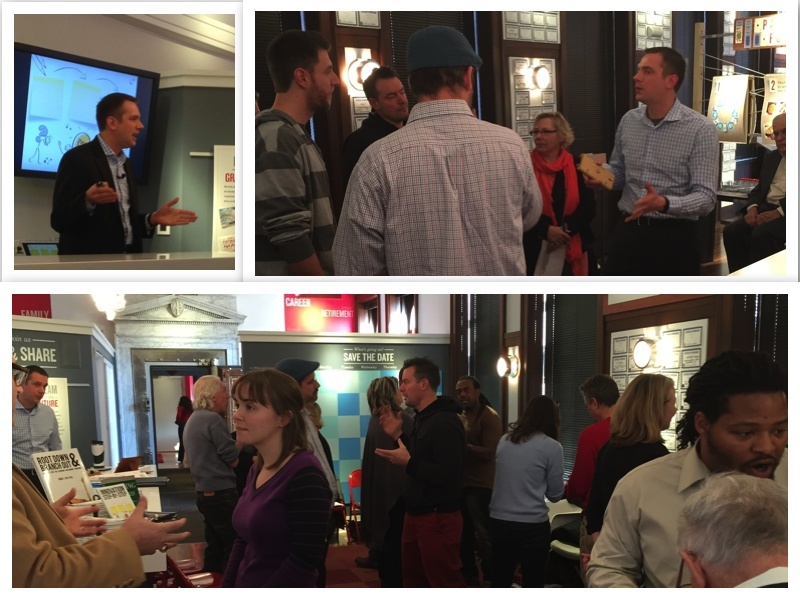 We can bring an innovative program, workshop, or speech direct to your organization or conference. Interested in discussing program ideas? Email Darin@DarinEich.com today. Please get in touch! Email Darin@DarinEich.com.